Should politics be kept out of Local Government? Home / Central Government / Should politics be kept out of Local Government? I always thought this was an absurd proposition. Because like it or not Local Government is deeply political. Keeping politics out of politics may appeal to some but it is never going to happen. I am proudly standing as a Labour Party candidate this year. This is the first time that I have actually had that word next to my candidacy as my previous campaigns were under the branding of “Team West” and “Future West”. Both were Labour supported and endorsed but this is the first time I have had the privilege of using the Labour brand. And it is clear to me that it has extraordinary power. It conjures up images of Micky Savage and the creation of the social security safety net, of being nuclear free, of treaty settlements, of New Zealand being a proud independent International citizen. I have the benefit of being associated with a hundred years of political activity by others doing their best to make New Zealand a better place for all of us. And this defines how I will approach issues if I am elected. My opponents for Council are not as open with their political allegiances. One had former National Leader Don Brash help with his campaign. Another has been a National list candidate for the past two elections. Two others also have National links and another has stood as an ACT candidate in the past. But reference to their political allegiances are nowhere to be seen. Out west it has always been a toss up between the left and the right. Tim’s team burned brightly but briefly in the late 1980s. Bob Harvey managed to form various progressive coalitions, the strongest of which was the Team West Council in 2001. The Waitakere Ranges Local Board was dominated by progressives in its first term and Future West enjoyed a clean sweep last election. On the other side Go Waitakere was the most successful right wing grouping but clearly aligned National candidates have been regularly voted into office. Throughout the rest of the region the left is up front in its allegiances. 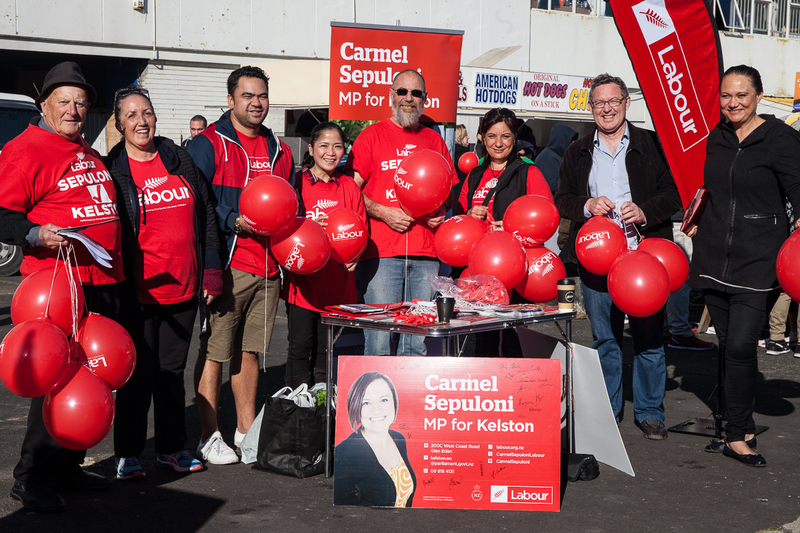 In South Auckland Labour branded candidates stand for a variety of positions. In the Isthmus City Vision dominates. It was formed in 1998 and has from the start announced its allegiances. City Vision was formed in 1998 as a political grouping to work to protect and develop our city and communities. From the start, we have championed policies to grow Auckland into a liveable, healthy, economically and environmentally sustainable city for ourselves and our children. There are some who complain that Future West was too successful last time and how the power should be shared around. But the problem is that they do not offer any policy alternative. Everyone wants to save the Ranges, although Westwards clearly think that saving the Ranges is not inconsistent with increasing development in the area. Everyone wants to work with youth, to prevent crime and to reduce rates. So what are the benefits and what are the disadvantages of having candidates with political affiliations standing for office in local government? The primary benefit as far as I am concerned is that the electorate can work out what the candidates believe in. A Labour endorsed Green aligned candidate out west such as myself would be interested in meaningful protection of the Waitakere Ranges, fostering tolerance and diversity, and ensuring that Council workers are paid a living wage. A National or Act candidate would be indifferent to environmental protection, would prefer to sell off publicly owned assets and cutting costs at the expense of community and staff. The branding is a quick shorthand way to inform the electorate where on the political continuum a candidate is and what their likely response to issues would be. Opponents claim that I and my fellow Future West candidates are that we will have to toe the party line and that an elected representative needs to work with governments of all political persuasions. As to the former I have never been directed by Head Office to vote on any issue ever. This just does not happen. As to working with people of other political persuasions I have been on elected bodies with well identified members of the National Party. Once elected I have always taken the view that I have a job to do and a constructive relationship with all fellow elected members is important and I have always sought to achieve this. The vast majority of issues that we deal with are not ideological and a proper discussion and analysis of the issue and of options almost invariably leads to a decision that I can support. Elections should be a contest of ideas between candidates with clearly expressed views and policies and goals. I am happy to be open about my political views, which are Labour and Green aligned, and I am confident that the good electors of Waitakere will know where I stand so they can then make an informed decision about if I deserve their support or not. G’donya Greg. I really appreciate your transparency which is sadly missing from candidates associated with National and Act..